If you are an iPad user who wants a decent audio interface to record a Mic or a Guitar you might have invested in the Tascam iU2 (which has just dissappeared from the Tascam website) or the Apogee One (which interestingly also has dropped its iPad compatibility listing and is now a Mac USB interface only ?!) Im going to have to dig a bit deeper here. Anyway Focusrite have released TWO products that might have given any of the others more than a good run for their money. The iTrack is an iPad interface and the Forte is a USB interface for MAC or PC…. 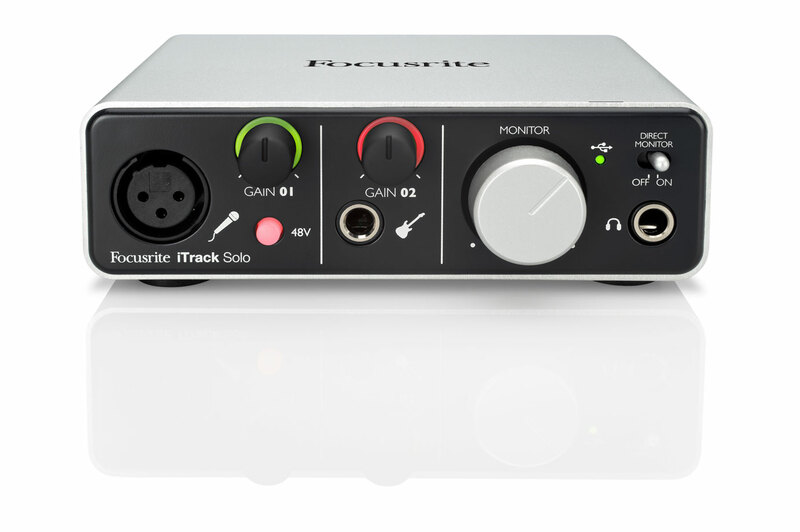 Focusrite Forte is a professional 2 in, 4 out portable USB audio interface for Mac and Windows, designed to deliver analogue sources to your DAW at the highest possible quality. 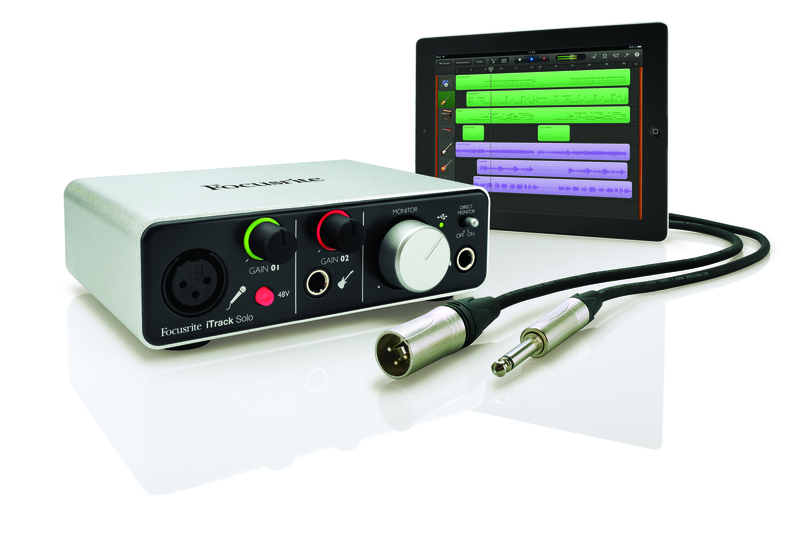 It features two remote-controlled mic preamps with the unrivalled sound quality you would expect from Focusrite. 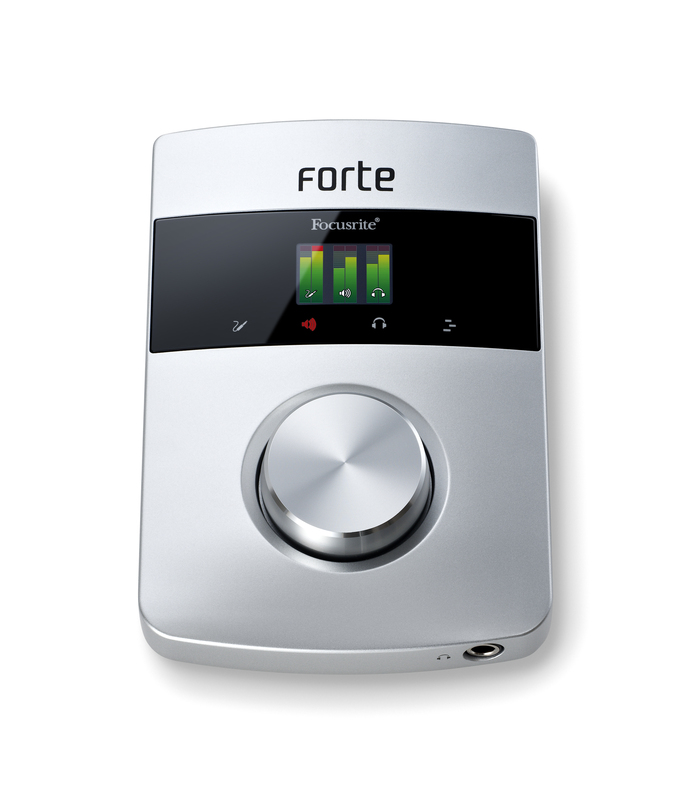 Forte partners these with superb digital conversion at up to 24-bit/192kHz resolution. Built into a solid aluminium case, Forte features a colour OLED display, touch controls and a single large control knob for intuitive operation, with DAW integration transforming it into a control interface.